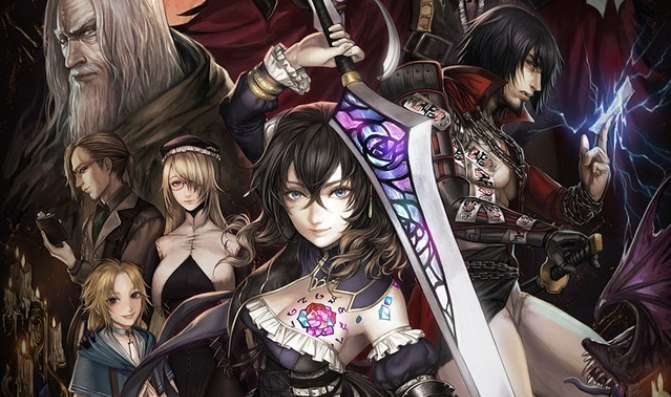 Way back in 2015, industry veteran Koji Igarashi started the Kickstarter for Bloodstained: Ritual of the Night, a spiritual successor to the games produced during the glory days of the 2D Castlevania series. Initially, Nintendo fans were due to receive it on the Wii U, but plans eventually shifted to the Switch when the game received a delay that pushed it back by nearly a year. Now, three years on, it seems that the end is finally in sight for the game. The official Bloodstained Twitter account revealed recently that the game’s release date will be discussed on this month’s Kickstarter update. Seeing as how there’s not even two weeks left in March, the update is likely to go up any day now, but perhaps if we’re lucky, the game may even get some screentime in the forthcoming Nindies Nintendo Direct. Only time will tell, but expect to hear more about this very soon. What do you think? When will Bloodstained come out? How do you think it’ll stack up compared to Iga’s past games? Share your thoughts in the comments below. As I huge Castlevania fan I welcome this game but after seeing the developer updates I do not think that it will be as good as the Metroidvanias. I hope I am wrong! I will pick this up for Switch and PS Vita regardless! I do not think it will top Order of Ecclesia. Great news, this is one of my most anticipated games coming out this year. 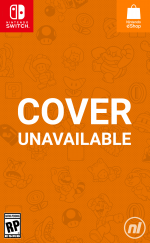 I'm really hoping that the Switch version gets a physical cart confirmation during this update along with the release date. I got burned by both Mighty No. 9 and Yooka-Laylee, I'm really hoping I don't get burned for backing this game. Here's hoping. @Ham-n-jam Lol, indeed. We are planning to make a plan. @Ham-n-jam Fingers crossed that they announce the release date for their release date release date soon. I'm not a backer, but I hope it's good. The problem is that 2D metroidvania fans are pretty spoiled for choice now and personally I'm more eager to play Hollow Knight on Switch than this. As usual I'll wait for reviews. CastleVania is one of my favorite series and Symphony of the Night is a top 5 all time favorite game for me. I'm excited about this news regarding upcoming news. I first saw her, was actually easy. I hope they turn things up a bit before it releases. Aww I skimmed the article for a release date but there weren’t one lol. (Then I actually read it) Hopefully very soon! This was my birthday gift in 2015 lol. Iga is one of my all time favorite so I'm very excited. Hopefully we get a second demo. Bloodstained No.9 heading toward release? Is it 2019 already? I want this game. I want this game. I want this game. Looks interesting Im hopeful for it I would love a new Castlevainia game in a 2D style . Well being that I'm a backer (though just the digital version since it was cheaper investment) I'm excited to hear a release date. This may be the first out of every game I've backed on kickstarter (4 of them) to come out. I think i'll be getting this and Timespinners this year from Kickstarter backs I did hopefully one of them turns into a good metroidvania at least. Still a bit cautious after the troubles that have come with other kickstarters. This so far is the only game I’ve ever helped kickstart. I’m honestly really excited for it. If they even just show a video of updated gameplay that’d be cool for me. At the SXSW panel, they talked about how they went back and completely redesigned a boss based on backer feedback, so I think they are doing a good job of listening to the people supporting their game. Here's hoping the final product is really good. @SwitchVogel Nice bit of click bait there, from your title you made it sound like they release date was revealed. I'm still very interested in this game but I was a bit turned off by how it looked the last time I saw it in action. I was more excited when it was first revealed with 2D sprite graphics, but it is what it is. I'm still enthralled by the character designs and really hope it ends up being great. @Zuljaras I have played a demo version of the game last summer and it was pretty amazing back then. I can only imagine how far it has come. @mauhlin12 I'm a huge fan of SotN myself. I can't remember how many times I've played it through to 200%, the excitement of stepping outside of the castle thanks to a glitch, collecting every pointless item and filling the bestiary. Buying the Saturn import just to play the garden and prison stages, play as Maria and test out all the weird new items and familiars. That game is really something special and it really baffles me that it was never really expanded upon or given a remake. Sure the DS and GBA games were great. But SotN will always be the best of the bunch in my opinion. The challenge for Igarashi is to try and top THAT game with Bloodstained. And it just doesn't look like it's going to happen. But hey. If it's as good as the DS games then, as Inafune says, "it's better than nothing". @KingdomHeartsFan Yeah I'm not expecting RotN to top Sotn. I haven't played the DS IgaVanias but I enjoyed the GBA trilogy so hopefully RotN will be on that level. "Better than nothing." Don't get me started on Mighty No. 2. @Jokerwolf I have only watched the demo but I think that the game itself will be completely different. The European feel of the CV games will not be present I think. And that is sad for me. But hey I want it to work! As long as the game live up to its promised then this is going to be awesome. I hope to get my hands on this come late this year. @Tasuki Unless the subject was changed after the fact (Which I didn't see) I don't know how much more clear he could have stated "Release Date Announcement Plans." Blame the devs, not the author. Been keeping up with the updates on this game. It looks fantastic and I’m glad it’s coming to the Switch. Like some have stated above I do hope it gets a physical release. If it does I’m assuming it’s gonna be one of those “first comes to the Eshop as a download title then after 5 months the physical release comes out” if that’s the case I don’t know if I will be able to shake off the temptation of getting a downloadable version.. anyways I think this game will do good but like others have stated not as good as OoE. Being optimistic though!